He's pretty much finished for now. It's in kuiper red, a recommendation from pot clays. 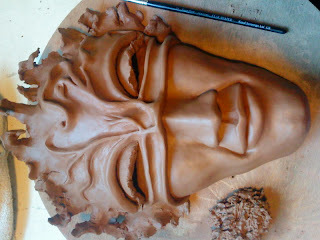 It's going to be overfired then the mask given a crystal glaze. Maybe we'll get to enjoy this one for a bit before it disappears!